Here\'s a set of wax sculpts for different heads from the Ewoks action figure line. The top head is of the Dulok Scout, one of the villains in the Ewoks cartoon that was produced as a figure from the initial run. 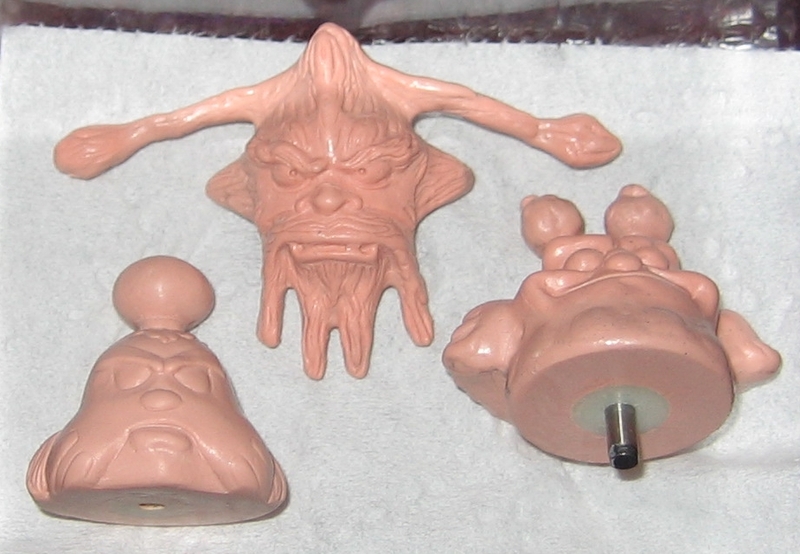 Across the bottom are Chituhr and Bondo, two figures that were designed for the 2nd run of the Ewoks cartoon figure line but were never produced and only exist today in prototype form.